Holidays in Lake Maggiore offer something for every taste; delicious food and wine, beautiful natural scenery and 19th Century palaces to name but a few. Located in the picturesque Southern Alps, Lake Maggiore is the second largest of the Italian lakes and treats its visitors to a beautiful Mediterranean climate. Its shores are peppered with quaint fishing villages, each of which has its own distinct character, boasting colourful buildings, harbours and architectural wonders. Couples and families alike will be drawn to the glamour of Lake Maggiore, where days can be spent relaxing in the sun, enjoying the food scene or exploring the cobbled streets of the nearby fishing villages. A holiday at Lake Maggiore would not be complete without visiting the Borromean Islands, where awe inspiring botanical gardens, palaces and vanilla white houses are waiting to be discovered. Hop on a boat from the waterfront at Stresa and enjoy a day exploring these beautiful islands. And, on a Wednesday, be sure to visit the famous market in Luino, where local samples of fruit, cheese and other delights are waiting to be tasted. Luxury holidays in Lake Maggiore allow for a truly indulgent and sophisticated break. You’ll be spoilt for choice when it comes to beaches, and many of the restaurants here are al fresco, allowing you to savour some of the best food in Italy while soaking in the stunning lake views. For those wanting to enjoy some high end shopping and restaurants, head to Milan, which is just over an hour away. Here, you’ll find grand architecture, culture and art to inspire you. 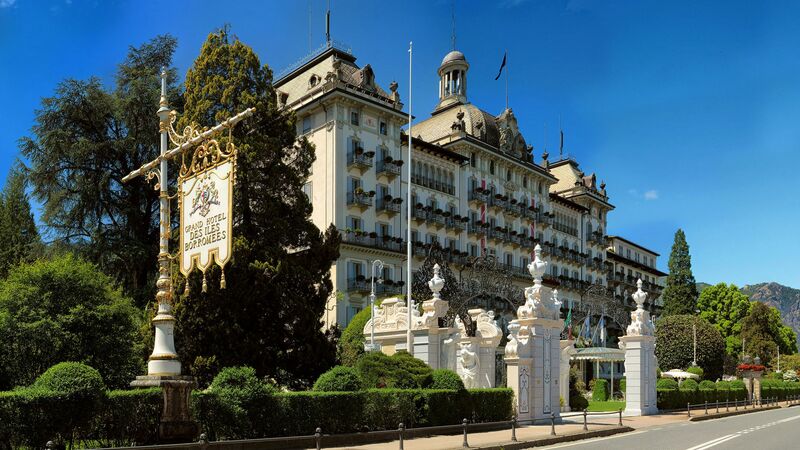 Lake Maggiore is home to many excellent luxury hotels, but Sovereign recommends the Grand Hotel Des Iles Borromées. 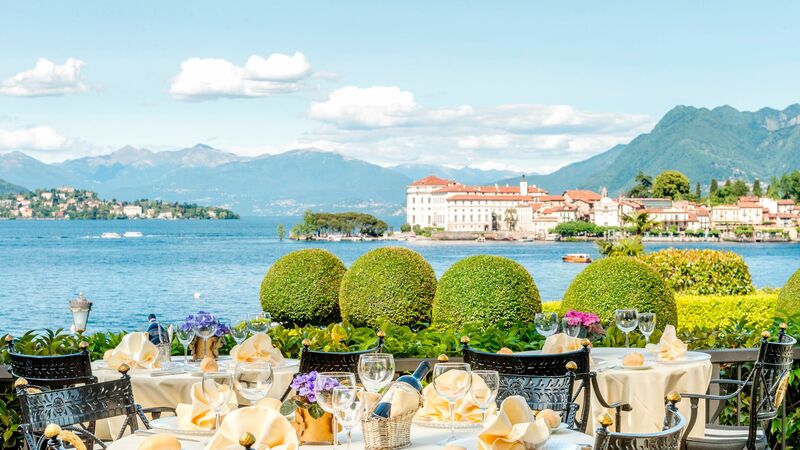 Easily the most exclusive hotel in the area, guests will be treated to first class facilities with inspiring views over to the Borromean islands and the Alps. Alternatively, opt to stay at Villa e Palazzo Aminta Beauty & Spa, where stunning lake views and excellent dining can be found, as well as a spa offering a Turkish bath and other deluxe treatments. Hop on a boat from the waterfront in Stresa to cruise over to the Borromean Islands. First, visit the palaces and gardens of little Isola Bella. The sculpted gardens step down the steep edge of the island to the water, giving up sculptures and staircases along the way. Next, take a step back in time on Isola dei Pescatori (AKA Isola Superiore). It’s the northernmost and only inhabited island in the Borromeans, topped with a miniscule fishing village of vanilla-white houses and a steepled church. Lake Orta lies just west of Lake Maggiore – so within perfect day-tripping distance. The east bank town of Orta is a great place to start. Explore the medieval streets, café-lined piazza and lake-view park. Then hop on a boat bound for the little island opposite, San Giulio. It’s less than 300 metres long, but bundles in a Benedictine monastery and basilica that houses the remains of Saint Giulio himself. You’ll also find sanctuaries dotted around the hills. There’s one above Orta, but if you’ve got time then drive around the southern edge of the lake and park up at the Sanctuary of Madonna del Sasso. The peaceful cobbled square out front offers cinematic views over Lake Orta and the foothills of the Alps. Picture-perfect parkland wraps around the Villa Pallavicino – a grand mansion just ten minutes’ walk away from Stresa. The views here are some of the best on Lake Maggiore, stretching right across the waters to the mountains. Explore the botanical gardens, wander the waterside terraces, and keep an eye out for the resident animals (flamingos, kangaroos, llamas and peacocks). Keep an eye on the flowering calendar, too – the rhododendrons are in full bloom in late spring, while the scarlet oaks and American sweetgums turn orange in autumn. The botanical gardens take centre stage at Villa Taranto. They start in style, with a grand boulevard of conifers leading the way in. Further in, you’ll find formal terraced gardens, fountains, a pool filled with lotus flowers, hundreds of dahlias, and an elegant conservatory housing a water lily pond. It was all the brainchild of Neil McEacharn, a Scottish captain who collected species from near and far in the 1930s. If you’re at Villa Taranto in April or May, you’ll also get to see the dove trees blossom with strange flowers that gave it the nickname the Handkerchief Tree. Transfer time from Malpensa airport to Lake Maggiore is approximately 1 hour.